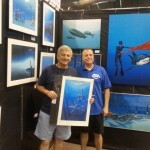 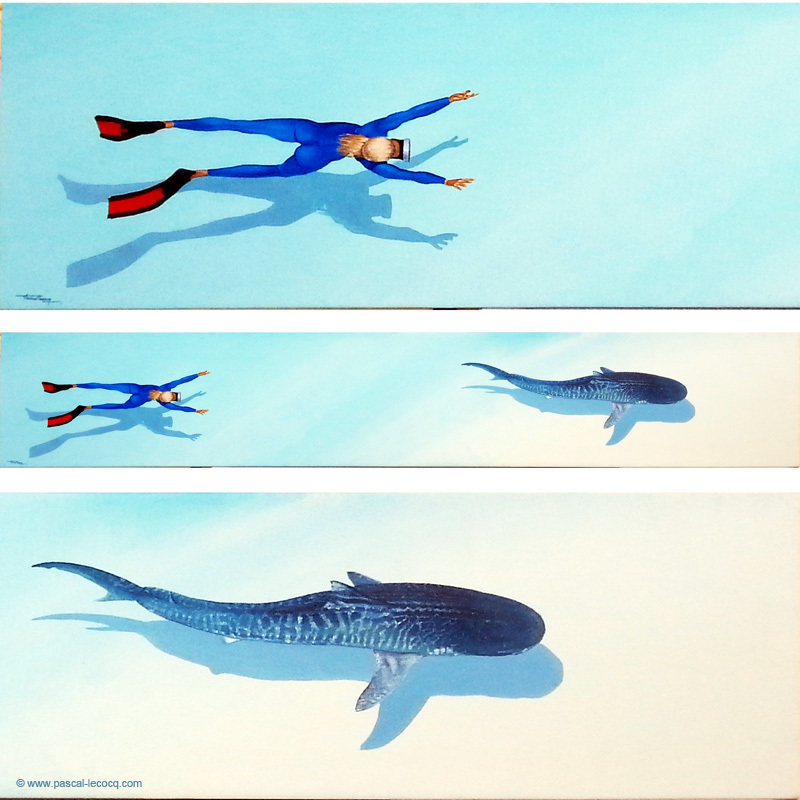 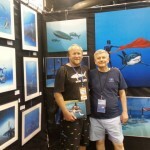 PASCAL LECOCQ The Painter of Blue ® - Tag Archive for "sharkcon"
The event will be held at the Florida Fair Grounds, Tampa. 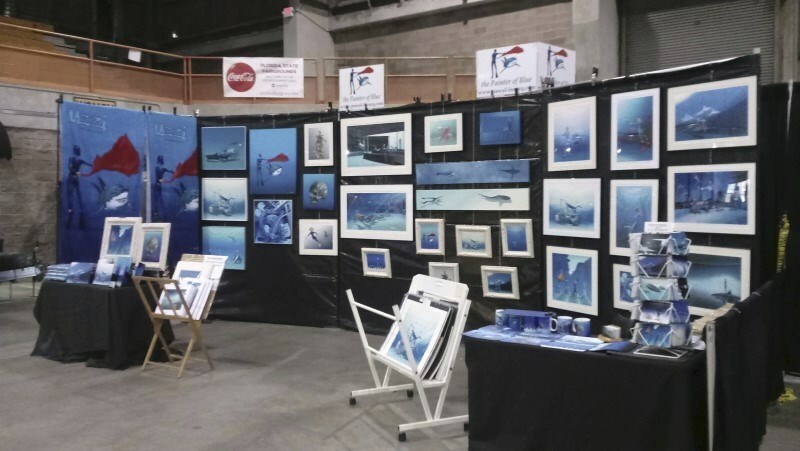 It will be held Saturday July 8th, 20167 from 9am-5pm & Sunday July 9th, 2017 from 10am-5pm. 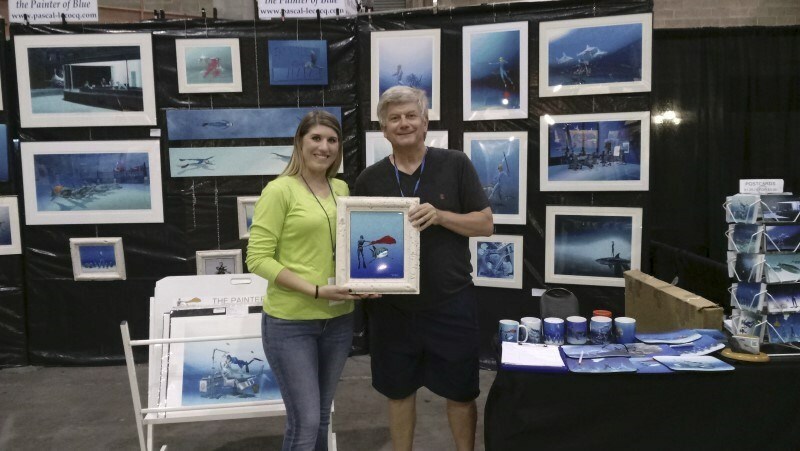 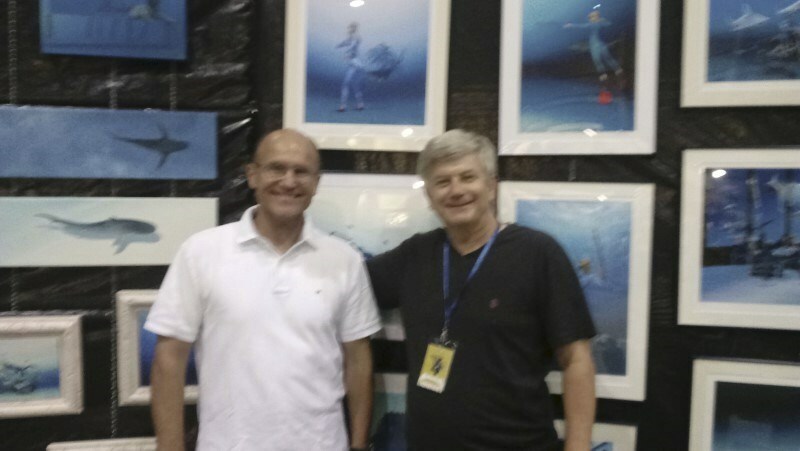 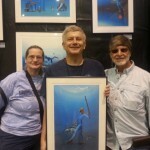 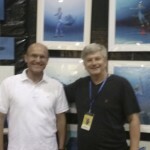 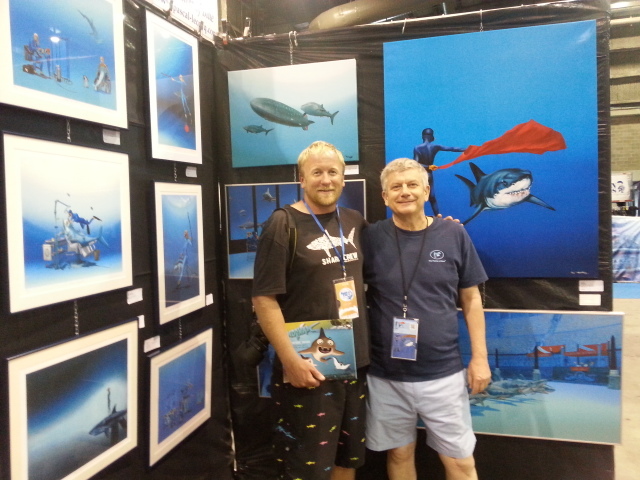 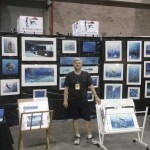 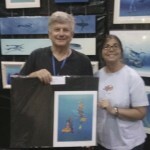 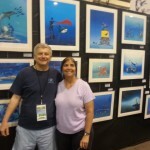 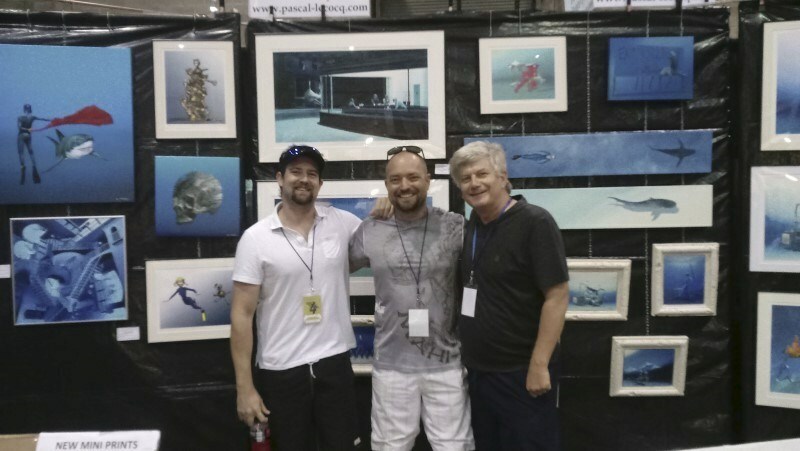 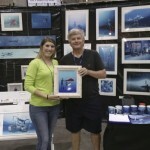 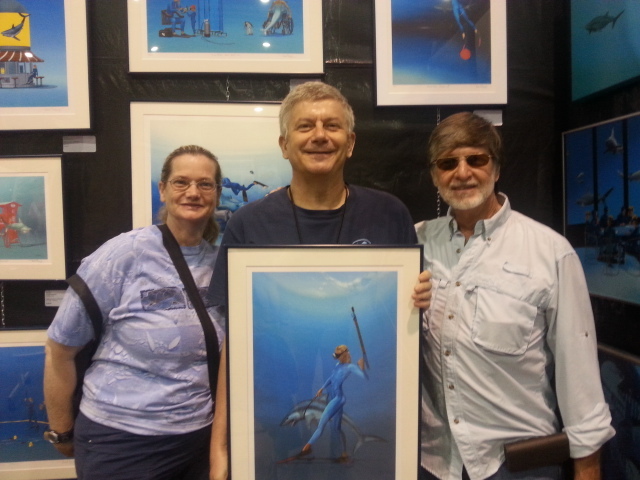 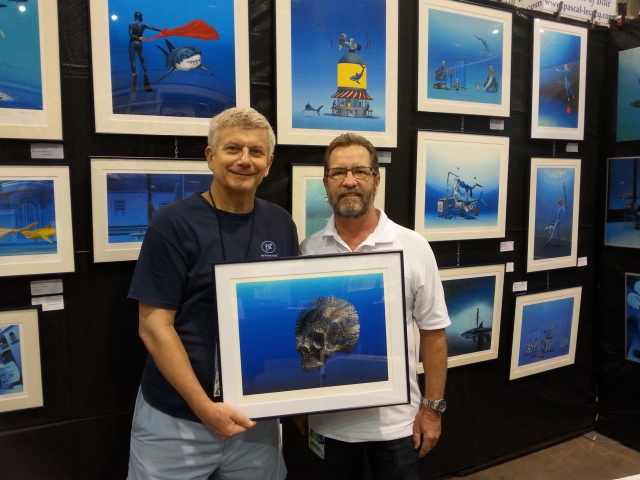 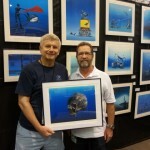 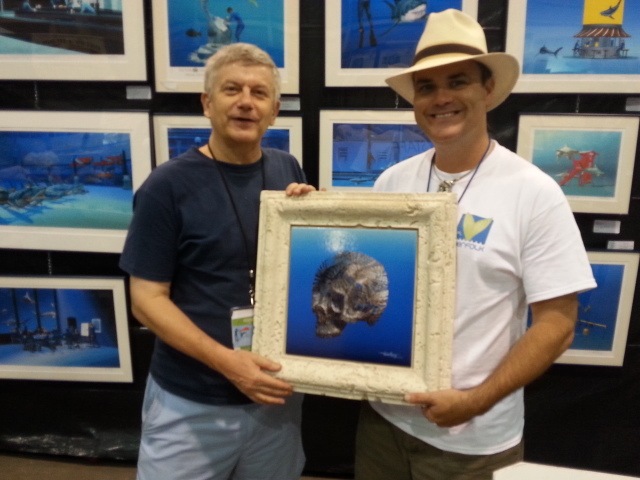 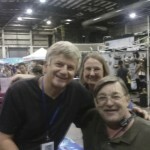 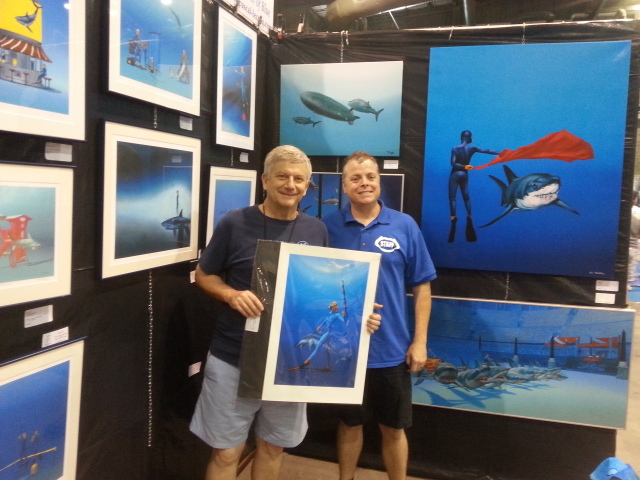 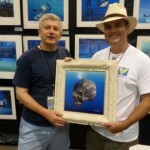 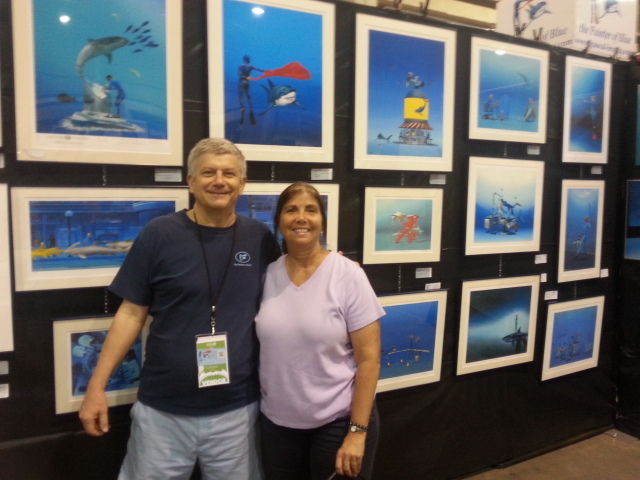 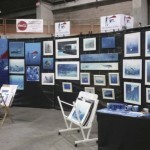 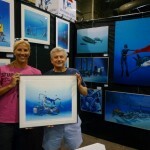 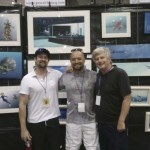 The painter of Blue and Sharks exhibiting at the SharkCon in Tampa. 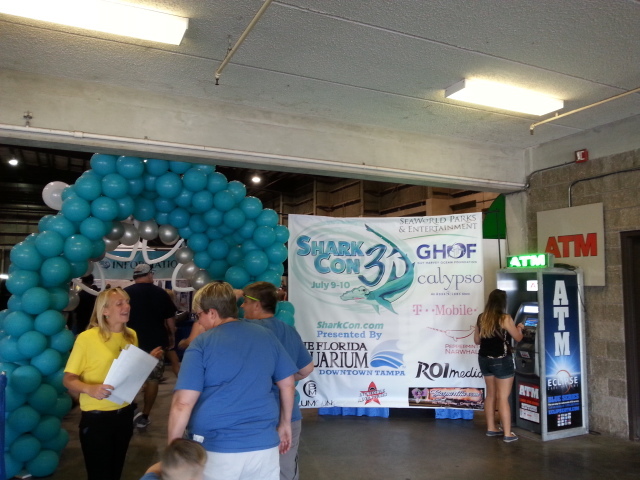 Event at the Florida Fair Grounds, Tampa. 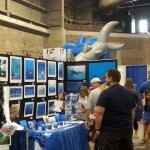 Saturday July 9th, 2016 from 9am-5pm & Sunday July 10th, 2016 from 10am-5pm. 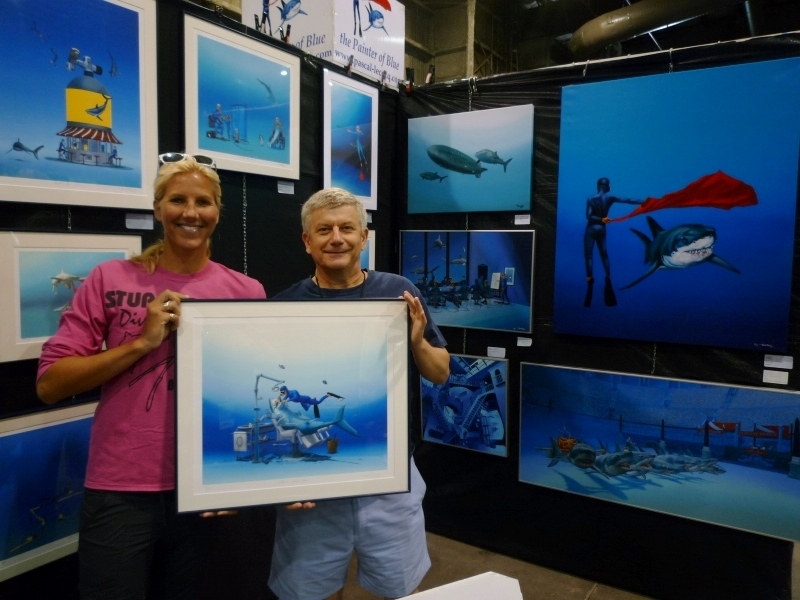 SharkCon is an event that brings those who love the ocean together for a weekend of education and the fun of a Comic Con. 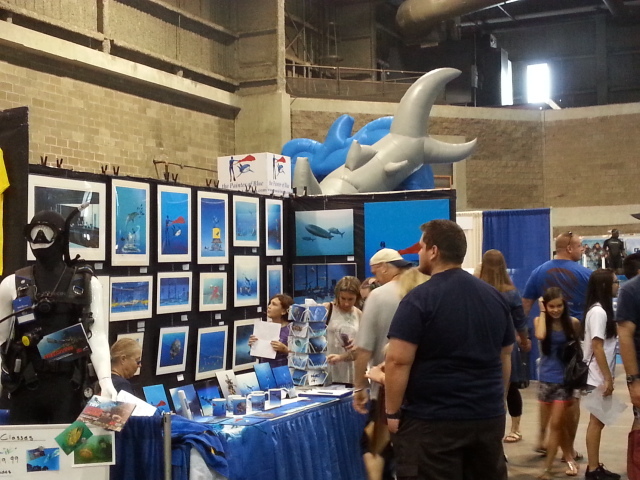 SharkCon has something for everyone who loves the ocean. 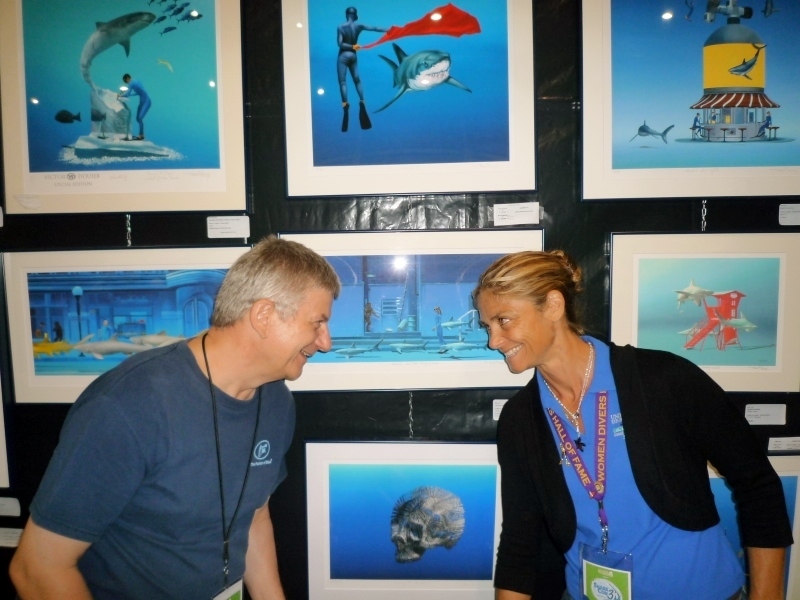 In the inaugural SharkCon we had experts (Sylvia Earle, Robert Hueter, Stuart Cove, Ellen Prager, Jim Abernethy, and more) give presentations that entertained and enlightened our guest to the wonders and plights of the ocean. 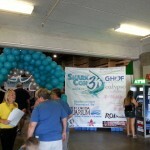 We had water sports clinics to teach our attendees how to paddle board, kayak, surf and fish. 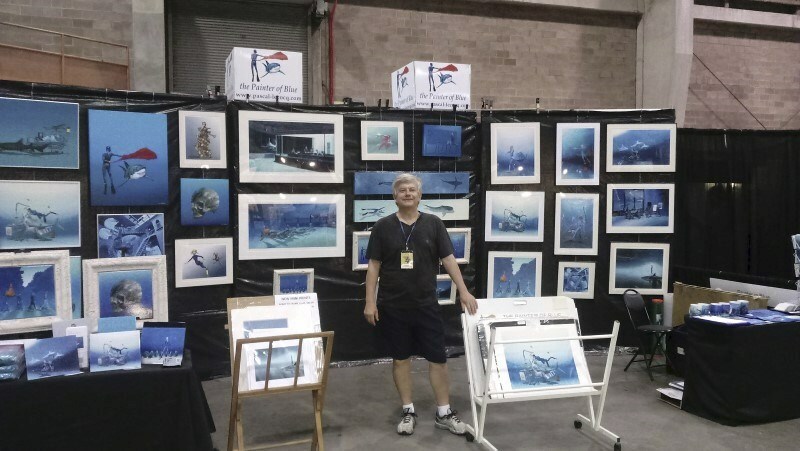 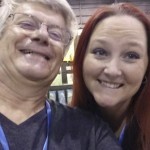 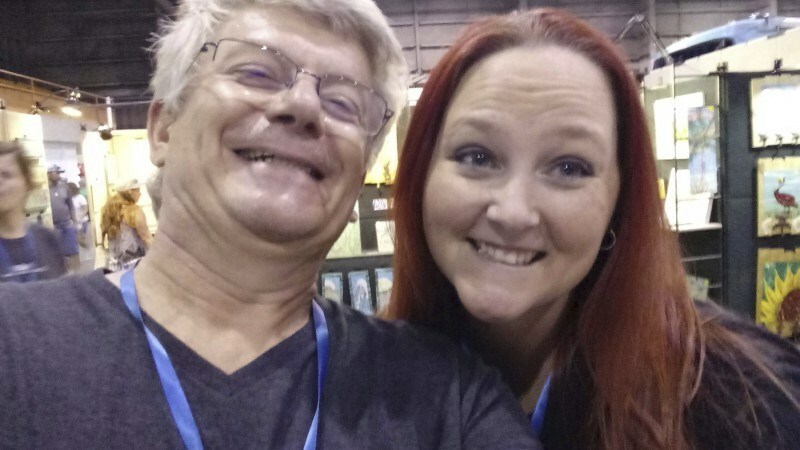 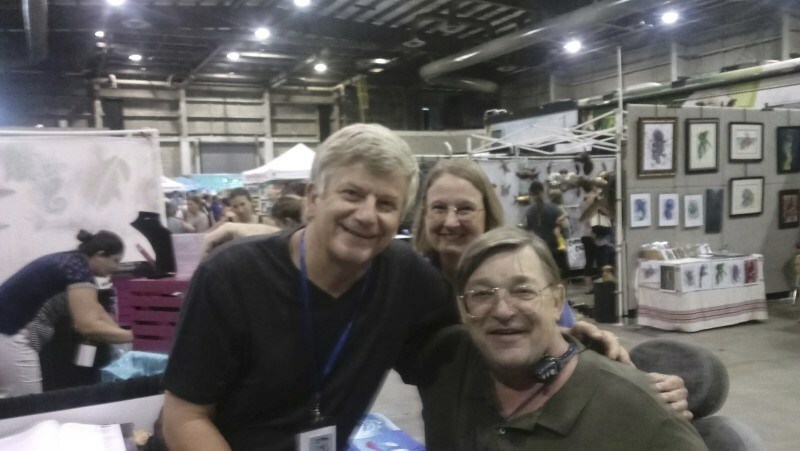 The show had over 80 vendors from different areas of ocean fun (scuba, live aboards, charters, clothing, fishing, books, jewelry, fossils, paddle boards, vacation destinations, and much more). 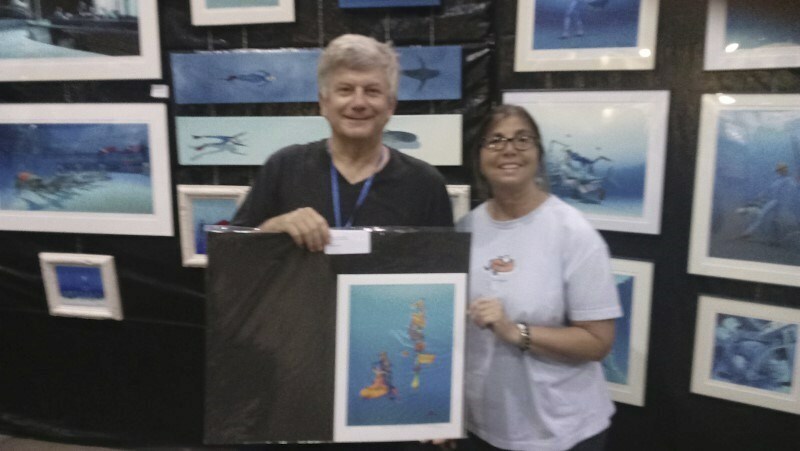 We had exhibits from the Florida Aquarium (animals, fossils, educational material), Mote Marine Laboratory Mobile exhibit, Tampa’s Lowry Park Zoo (animals), SeaWorld (fossils, examples, learning materials, shark photo options, more), Sharks from Ocean Creations, a shark ride(like the bucking horse), children’s coloring tables, the Mascot from the Clearwater Threshers, Aquaman, a showing of Jaws at the Tampa Theater, and even more. 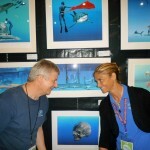 All of our guests left after having been entertained, educated, and with a renewed passion to protect our oceans.